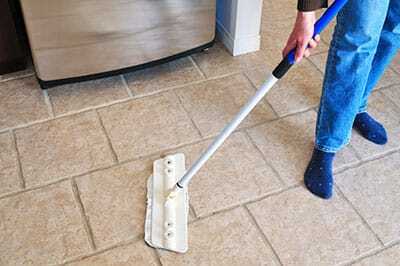 If your home has tile floors, you probably have the experience of mopping it. 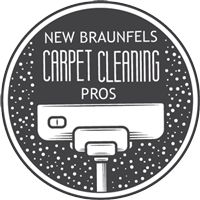 And, if you own carpet, you will know that cleaning tile is much easier and quicker than cleaning your carpets. Plus, a mop is a lot cheaper than a nice vacuum cleaner and cleaning supplies, so tile is overall a simpler and less expensive cleaning task. However, if you are someone who likes their floors very clean without having to call professionals in to do it for them, here are some great tips to help you keep your tiles as good as new. So, since you know that cleaning your tiles is much less time consuming than cleaning carpet or upholstery, it should be clear that there are a few extra things you can do to keep all the dirt out and put all the shine back in. That being said, the first tip to keeping your tiles cleaned and looking as good as new is to mop it regularly. And, when you are mopping, be sure to mop back and forth and in circles to get all the spots covered and cleaned. Tiles are also one of the easiest things to clean because it is very resilient and can handle more pressure from mopping than if you were cleaning carpet and tried to use power over finesse to clean it. When you clean your tiles, don’t be afraid to mop harder to get discoloration out. Another tip is to act quickly whenever there is a spill on your tile. Don’t be fooled by the resilience of the tile, because stains will eventually discolor the tile and make it very difficult to get out after a good amount of time. Whenever a stain does happen to seep into your tile and cause discoloration, a good mixture of vinegar and water on top of the stain can help get it out of your tile. But, since tile is more resilient than carpet, you can also use more powerful cleaners that use chemicals to help get the discoloration out as well. However, do be careful and know the effects of the chemicals on your type of tile to prevent any damage. Now we can move onto the grout cleaning tips. Don’t forget about the grout in between your tiles, because if it becomes discolored in certain areas, it can definitely be an eye sore. So, whenever you are mopping, be sure to scrub the grout well with your mop to clean it out. 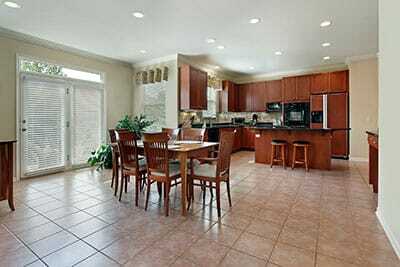 Then, if any stains are leftover, use grout cleaning products to help get the stain out. But do take care when using chemical products to help clean, since they can cause damage to the actual tile while cleaning out the grout. The best tip to give is to know what your tile and grout is and the types of cleaners you can use that don’t harm the color of your tile while cleaning it out as well. If there are any stains leftover after you have worked hard with cleaning products, you may try looking up what others have used for that particular stain and how well it worked out for them.